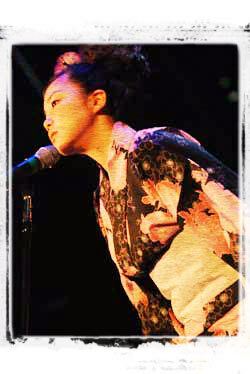 Ayumi's notable performances include appearances at the Shibuya Flower Project for the 2004 Earth Day Tokyo event, the Aichi Expo “Love the Earth” Citizens' project with Yujin Kitagawa from well-known Japanese pop group Yuzu, and the Hibaku Piano Peace concert with famous Japanese singer Shinji Harada at the United Nations Church Center (NY). Continuing to evolve, in 2001 Ayumi spent a month in Australia as a junior diplomat, understanding aboriginal culture and music. In January 2007, she enrolled in Berklee College of Music (Boston, USA) with a scholarship from Berklee's North American World Scholarship Tour. Her performances after entering Berklee were numerous both on and off campus. She represented Japan at the 2008 International Folk Festival and received an enthusiastic response to her fusion of crystal singing bowls and traditional Japanese music. Later that year, she performed at a summer concert held at Carnegie Hall, New York. In 2008 Ayumi founded the international vocal group Women of the World. 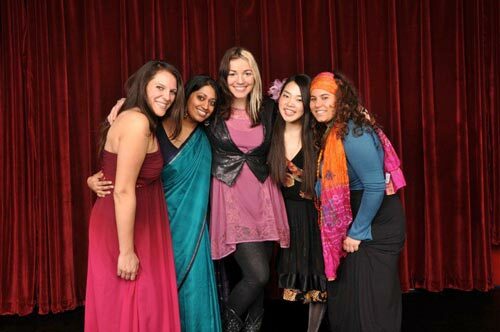 Through their music, women from four continents promote peace and foster unity. Women of the World has performed extensively in and around Boston and the American Northeast, and has participated in such events as the “Hope For Haiti” fundraiser organized by George Clooney, and the United Nations Day ceremony at the Massachusetts State House in 2010. Notably, in March 2011 Women of the World held a concert featuring their own music in Carnegie Hall. 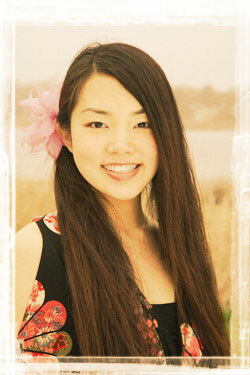 Ayumi graduated from Berklee College of Music in May 2010 with a degree in Professional Music. Her coursework at Berklee emphasized performance, world music research, and music therapy. She was awarded the college's first Walter W. Harp Liberal Arts Music and Society Award. Ayumi's work with crystal singing bowls has lead to diverse experiences, from practicing individualized sound healing treatments to performing for thousands of people in Boston's Symphony Hall, exhibiting exciting cultural music at the Japanese Consulate to creating therapeutic and relaxing environments at Children's Hospital Boston and SPA Intercontinental Hotel. As a solo artist, leader of Women of the World, and a sound and Reiki Healer, Ayumi works in both the USA and Japan as a multi-talented spiritual artist. What started out as a dream two years ago has become a real musical force. 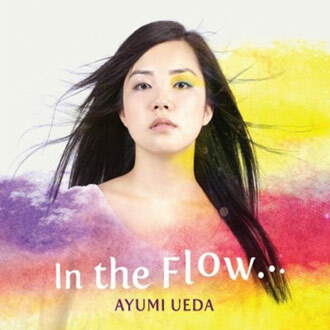 In 2008, Ayumi Ueda of Japan joined forces with singers from all around the world to create an eclectic ensemble of women who make music that spreads the message of peace. 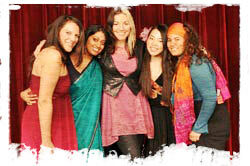 From the group's very beginning, the five women delighted in sharing in the beauty of different cultures. That musical cross-pollination created a power that continues to move not only the group, but larger and larger audiences, as it spread awareness of different cultures, music, and philosophies. Women of the World quickly created a stir in the community, receiving support from renowned artists such as Grammy Award winning maestro, Bobby McFerrin. 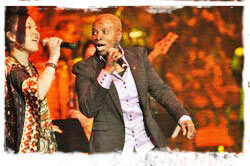 In 2010, they shared the stage with the iconic African vocalist, Angelique Kidjo. The group has supported various causes including Haiti disaster relief, Pakistan flood relief, and Japan disaster relief through fundraisers, as well as organizations such as the United Nations. Each of the five women has a strong artistic identity shaped by the culture in which she grew up, and each finds endless excitement in learning and exploring the many cultures of the world. The unique music which stems forth from this mixture of artistry has created for a sound that is all its own: borderless, spirited, and a vehicle for its message of unity. We are five singers from different corners of the globe. By making music together, we have made beautiful friendship. In this spirit, we celebrate the beauty of diversity. We sing for not just tolerance, but wisdom, respect, and joy. We, as Women of the World, believe in the power of music. We believe in our bond. ©2011 Ayumi ALMA UEDA All Rights Reserved.